With new Image Comics miniseries Jim McCann and Janet Lee reunite and go all in! Here aboard the luxury space station Lost Vegas, only the highest rollers in the galaxy are allowed. No bet is too high, and no game off-limits. But be careful - while you could win a fortune if you go all in, a much darker fate awaits if you get too far in debt here, and in casinos and back-room gambling halls in every planet around. Once you’re over your head, you lose the last thing available: your freedom, something a con-man gambler Roland learned the hard way. 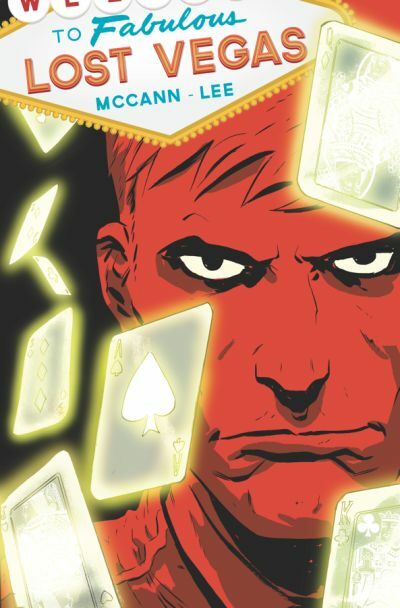 In LOST VEGAS, a new four-issue Image Comics miniseries by acclaimed creative team Jim McCann and Janet Lee (Return of the Dapper Men), Roland, now enslaved to the casino, has a plan to steal back his freedom. In just 24 hours, he must pull off the heist of the millennium. Roland’s caper and sense of adventure puts him in a category of dashing scoundrels that includes Han Solo, Danny Ocean, and Eddie Felson. And like any proper leading man, he has a strong-willed foil, the beautiful Kaylex, whose role on the luxury cruiser is a mystery to guests and workers on the Lost Vegas alike, one that can help or hinder Roland and his tight band of trusted allies. 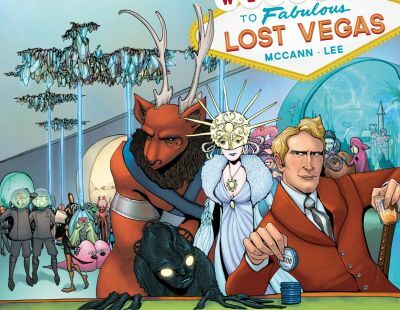 With colorful aliens, splendidly-attired elites, and astounding attractions, all set in the gorgeous backdrop of the most luxurious pleasure-ship this side of the Titanic, LOST VEGAS is a feast for the eyes from the Eisner Award-winning team. The first, 32-page issue of the full color miniseries will be in stores on March 6 and is available for pre-order now from the January issue of Previews. LOST VEGAS #1 features a wraparound “A” cover by series artist Janet Lee (JAN130473), a “B” cover by Dan McDaid (JERSEY GODS) (JAN130474), and a 1:10 incentive cover by Francesco Francavilla (Black Beetle) (JAN130475).